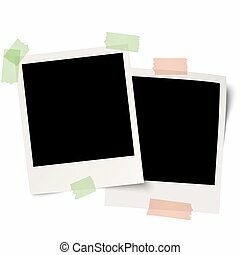 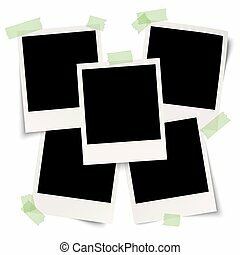 Blank polaroids with adhesive tape. 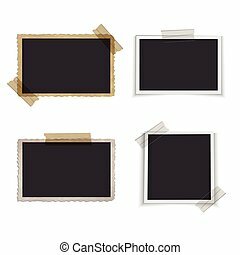 Blank photo frames attached with adhesive tape and pins. 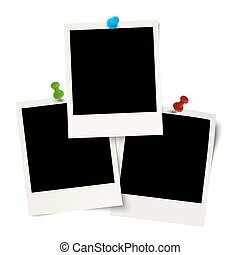 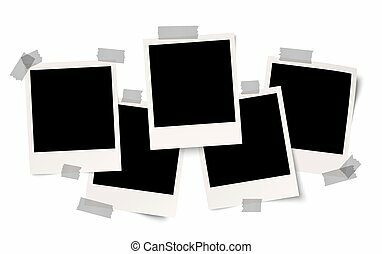 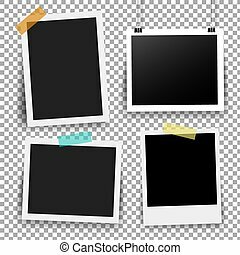 Collection of blank photo frames with adhesive tape, different shadow effects and empty space for your photograph and picture. 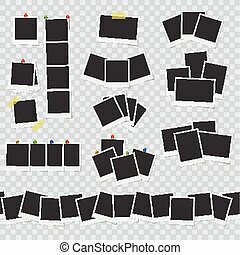 EPS 10 vector illustration. 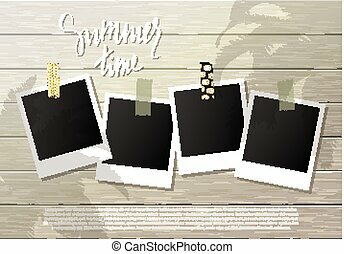 Polaroid frames on wall attached with pins . 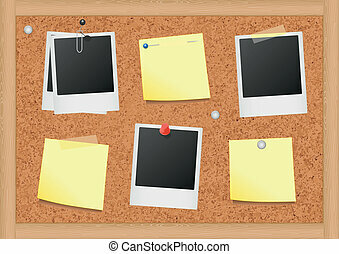 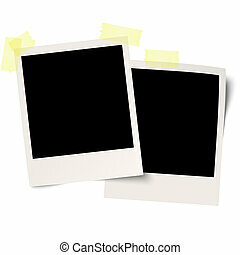 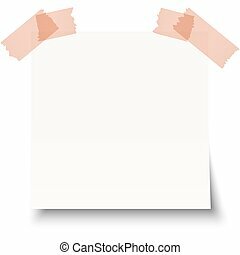 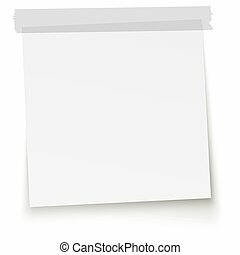 Vector illustration of bulletin board with blank notes and photos. 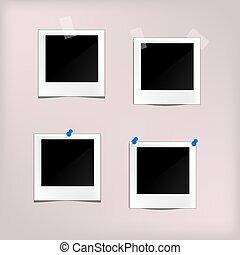 All objects are isolated. 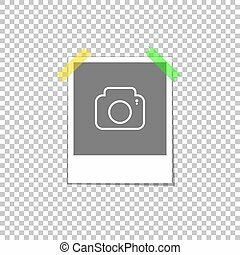 Colors and transparent background color are easy to adjust. 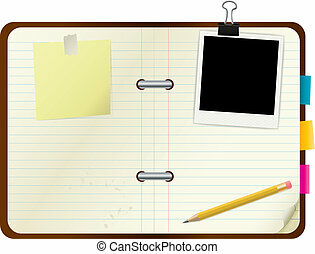 Open book with picture frame and post-its. 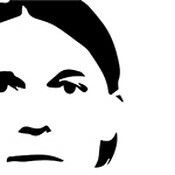 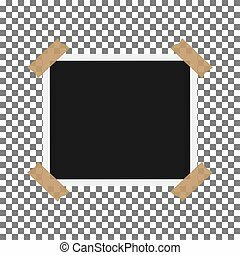 Vector Image. 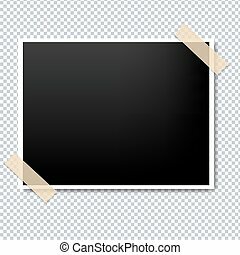 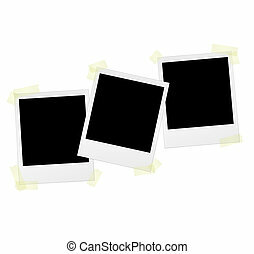 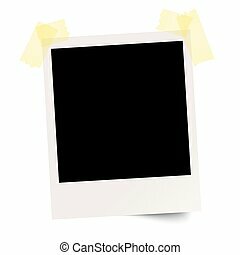 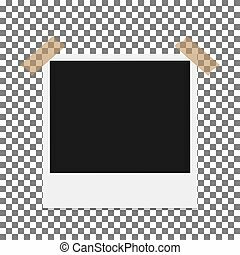 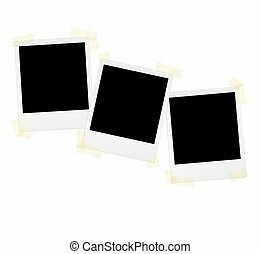 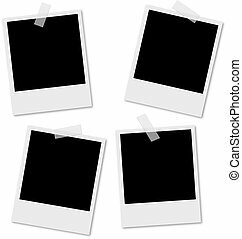 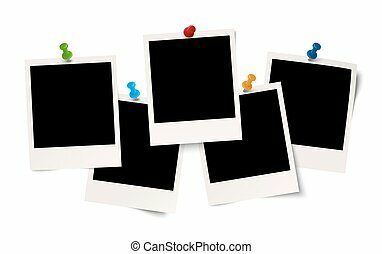 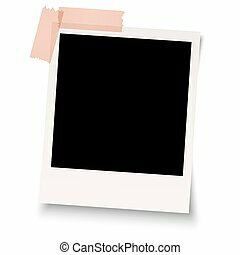 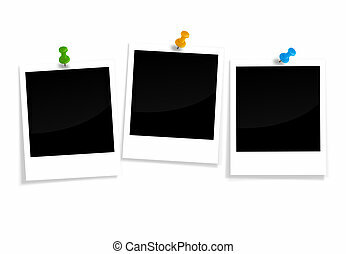 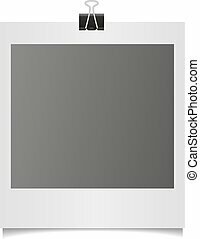 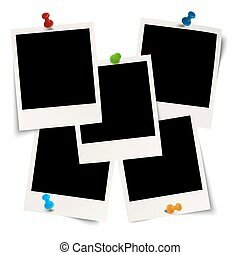 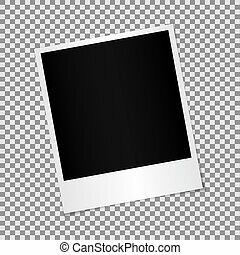 Photo rectangular template frame. 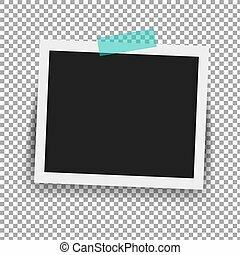 Attached transparent tape in the corners with a camera icon shadow. 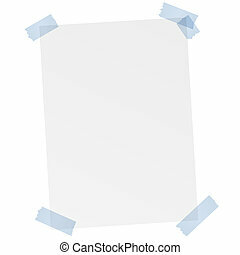 For advertising projects pictures and snapshots.